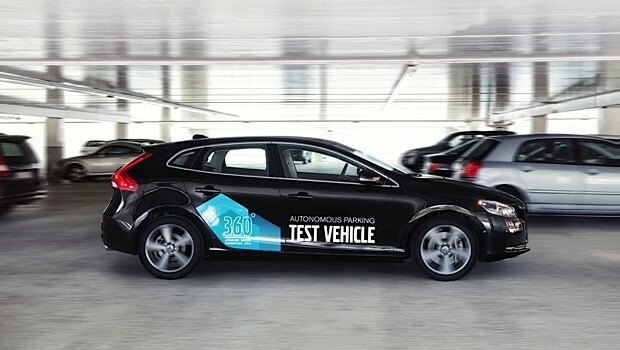 Volvo's no stranger to autonomous vehicles -- it's been working on SARTRE for several years now -- but yesterday the company shared some info about a new self-parking concept it plans to demo next week. The prototype car (a V40) is able to find a space and park in it without a driver on board, all while avoiding pedestrians, vehicles and other obstacles. What's most interesting is the level of integration Volvo is showcasing here -- sensors, electronics and controls are seamlessly built into the car, making the tech look production-ready. Vehicle to infrastructure communication is used to alert the driver when the service is available, and the car is smartphone-enabled for easy drop-off and pickup. You'll recall that Audi showed a similar self-parking concept at CES, so it certainly looks like the space is heating up. Hit the break for Volvo's video and PR.